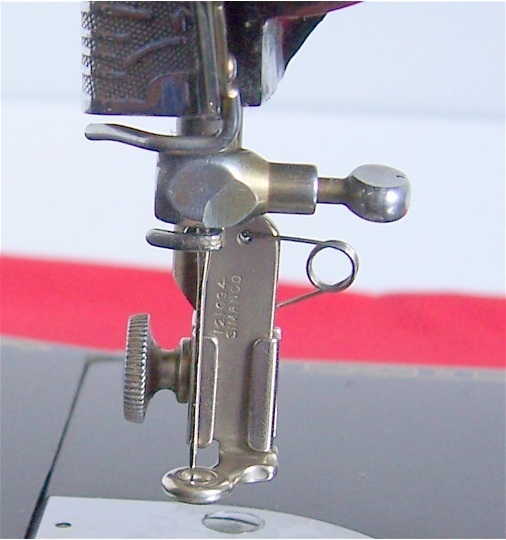 Vintage Singer Darning/Embroidery Foot 121094 for use on all lock stitch Singer Sewing Machines. This foot can be used on Singer models 15, 66, 99, 185, 201, 221 and 222K. Note:If you wish to purchase more than one item, simply enter your personal data for the first item and click on “buy now” for each additional item. Inventory is updated daily. Items are available on a first come, first-served basis. Your credit card will be billed if item is still available. You will be notified when item is shipped, usually within 5 business days. Temporarily Out of Stock $134.32 Free Shipping Continental U.S.A.